CNS Canada — After a year in which Canada’s largest pulse buyer, India, imposed import tariffs, Canadian pulse crops are seeing a shift in export dynamics. Lentil and pea exports in Canada are down this year compared to last. According to data from the Canadian Grain Commission, as of June 17, lentil exports were at 264,200 tonnes, compared to 836,300 last year. Pea exports dropped to 1,843,900 tonnes, from 3,280,400 last year. There were also decreases for lentil and pea production, according to Statistics Canada. Lentils dropped to 2,558,500 tonnes, from 3,193,800, while peas fell to 4,112,200 tonnes, from 4,835,900. Export countries for Canadian pulses have also changed this year. India dropped out of the top 10 countries for lentil exports this year after being the No. 1 market previously, according to the Canadian International Merchandise Trade (CIMT) database. While India is still in the top 10 for Canadian pea exports, the amounts it imports have dropped. So far for the first four months of 2018, India has imported about 36,000 tonnes, compared to 845,300 tonnes last year at this same time. India’s import tariffs have affected Canada’s pulse exports to the country. Toward the end of 2017, India imposed import tariffs on peas, followed by tariffs on lentils and chickpeas. This caused pea and lentil prices to drop in Canada, as exporters struggled to find new markets. 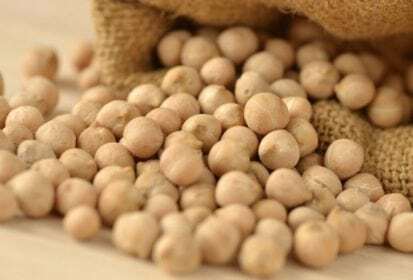 China is the top importer of Canadian peas this year, having increased imports to about 512,400 tonnes so far in 2018, compared to about 317,800 tonnes last year. Exports to India dropped to about 36,000 tonnes, from 845,300 tonnes. Overall, Canada is exporting more chickpeas this year, and according to the CIMT database, chickpeas are being exported to more countries than before. Most of last year’s top export destinations, such as the U.S. and Pakistan, have halved their import numbers, while other countries, such as Algeria, have started to buy Canadian chickpeas, leading to a more diverse international market. Canadian producers also grew more chickpeas last year, with chickpea production rising to 86,100 tonnes in 2017, from 75,200 in 2016, according to Statistics Canada.